- Annual APT services for HYUNDAI HiVDR, ACONIS SYSTEMS. 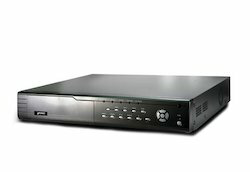 This is an 8 channel DVR with H.264 compression. The H.264 compression gives your playback video a clear picture quality and takes up only 1/3 of the space of mpeg4 format. The DVR also has 8 audio inputs. The video from this DVR can be viewed from any smart phone with 3G Support. A stand-alone DVR (Digital Video Recorder) which one compact multiple adeptness into a single box, and it contains boards, power sources, CPU and other DVR-related services. Furthermore, support timer. HDCVI (High Definition Composite Video Interface) is an over coaxial-cable analog HD video transmission standard which developed in-house. The technology renders two HD video formats 1080P (1920×1080) & 720P (1280×720) by progressive scanning. We are leading suppliers and traders of all kinds of CCTV cameras, DVR systems. We assure with best quality products along with service at your door steps.